Do you notice the mortar between your bricks cracking or crumbling? When the mortar that holds your bricks together becomes damaged it needs to be repaired in order to hold up the integrity of the structure. Tuckpointing, more formally known as re-pointing, restores mortar joints to their original strength. Cracked or crumbly mortar joints allow water, and other harmful elements, to seep inside of brick structures and cause serious damage. At Turnbull Masonry we restore chimneys, retaining walls, walkways, and any other structure to like new with our quality tuckpointing services. Removing the damaged portions of mortar until sound mortar is reached within. Properly preparing the space and then filling it with new mortar, which must be carefully selected in order to match the color and strength of your original mortar. Applying an extra sealant after mortar dries to ensure your mortar remains waterproof. At Turnbull Masonry, we have the tools, techniques, and knowledge to properly repair your existing mortar. We use our detailed eye to make sure tuckpointing repairs blend seamlessly with your original mortar joints. Tuckpointing looks completely natural and restores brick structures to their original strength, granting your bricks a long life without structural problems. Without tuckpointing mortar joints will continue to erode, eventually this leads to structural issues. 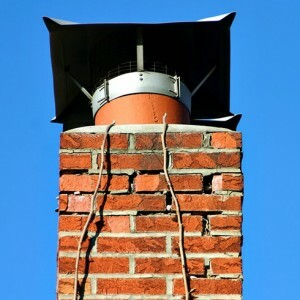 For instance, if you notice a chimney is leaning over to one side, it means the structure is bad due to a lack of maintenance, such as tuckpointing. Water is one of the leading causes of brick damage, although without quality tuckpointing water can easily seep into your bricks and cause a world of damage. There are numerous other problems that can occur too. For instance, if the joint mortar is damaged or weakened in one area, other bricks are going to incur excessive pressure. Weeds can also grow inside of cracked mortar, allowing vines to twist up inside of your bricks and cause further crumbling and cracking. Even with good brick maintenance, tuckpointing is necessary at some point. Weather and environmental exposures can make a big difference as to how fast or slow bricks show signs of wear and tear. Before costly structural issues have a chance to arise, tuckpointing can literally save the day. That is if the process is correctly conducted, improper tuckpointing can bring about new problems for you brick structure. You can rest assured with the pros at Turnbull Masonry, where brick repairs are not just our job, but our passion as well. At Turnbull Masonry we offer superior tuckpointing services for both commercial and private properties. Historical brick buildings and newer brick structures alike, we know how to properly repair all cracked mortar joints. Turnbull Masonry has become a leading name in the industry for our high quality dependable work, superior customer service, and our ability to save you money. We understand the importance of staying within your budget, which is why we urge you to contact us about tuckpointing procedures if you notice any cracks or other weaknesses in brick mortar joints. Allow our team of experts to uncover the best solution for long-lasting, beautiful bricks you can depend on.